Lance has left most of the wedding planning up to me since I’ve got more of an opinion about most of it – but one thing he was really excited to be part of was the cake tasting! I went to a bridal show back in June and honestly, I wasn’t impressed by most of the cakes I tried. I know fondant can make some really pretty designs, but I just don’t think it tastes good. 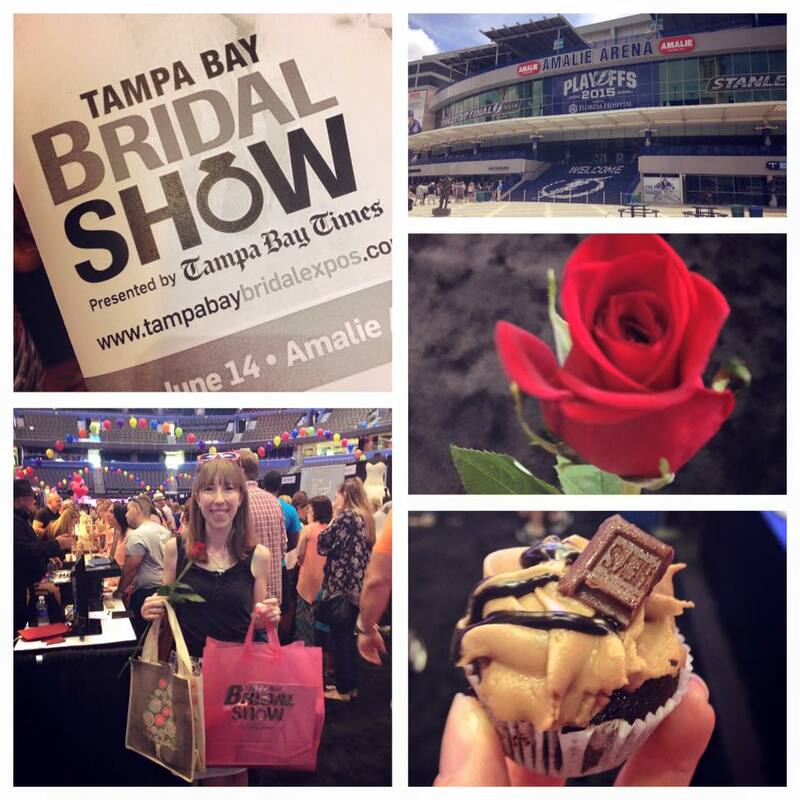 And surprisingly most of the cakes we sampled from the bridal show venders were pretty bland or dry. Jovana was just about to get married herself, so we arranged a cake tasting once she got back from her honeymoon to try her other flavors. 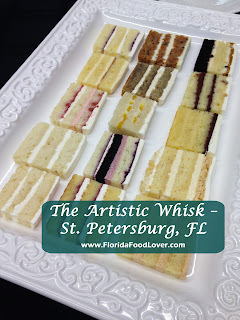 Her bakery is in a warehouse strip in St. Pete – so luckily not too far from our venue. She uses all natural flavors and has a pretty impressive background – graduating from Le Cordon Bleu and baking for Tampa’s Marriot Waterside, Clearwater’s Sandpearl Resort, the Ritz Carlton in Naples, and Innisbrook Golf and Spa Resort in Palm Harbor. My mom and dad joined Lance and me for the tasting. She brought us all champagne while we walked through 21 different flavors and rated our favorites. Luckily we can pick different flavors for each cake tier since it was really hard to narrow down which ones we liked best – they were ALL amazing. And each had homemade fillings and different types of buttercreams to compliment the cake. The four of us narrowed it down, and we decided on the coconut with rum roasted pineapple, chocolate peanut butter, and Bailey’s macadamia. Plus she adds in a complimentary cake topper for us to enjoy on our 1 year anniversary, which will be the chocolate peanut butter. We discussed designs and sketched up a plan based on the Pinterest ideas I’d sent her. I’m so excited that we found Jovana and I’d highly recommend her to any of you that need a cake for a special occasion. Looking forward to the big day next April! You can reach Jovana at theartisticwhisk@gmail.com or call her at (727) 560-5662 – her bakery is by appointment only. The cakes sound amazing! You must be so excited! Yes!!! We're so excited for next April!